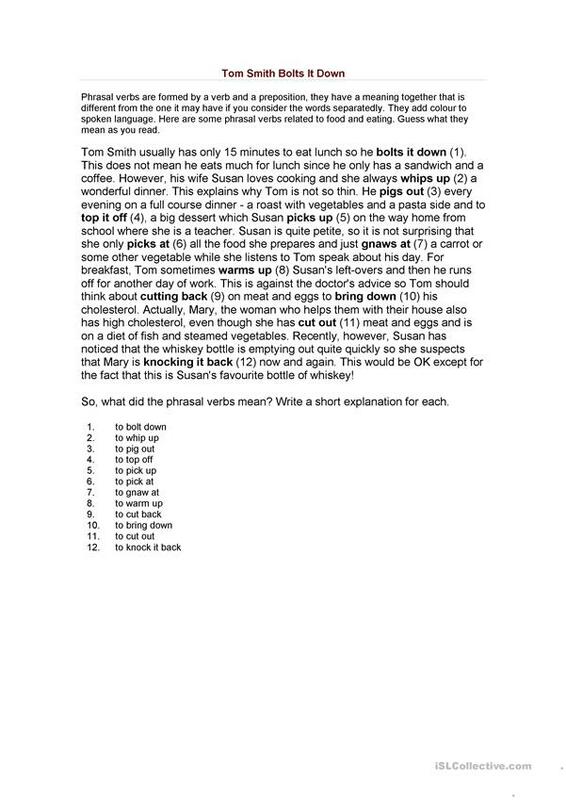 It's a text in which students have to work out the meaning of qo phrasal verbs related to food. The above downloadable teaching material was created for high school students at Intermediate (B1) and Upper-intermediate (B2) level. It is great for revising Phrasal verbs in English, and is excellent for enhancing your learners' Reading skills. It is focused on the theme of Food. verit is from/lives in Uruguay and has been a member of iSLCollective since 2012-10-09 18:46:40. verit last logged in on 2019-04-03 15:06:59, and has shared 1 resources on iSLCollective so far.